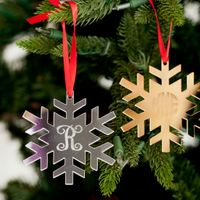 Ornament Type: Please Choose OneRoundSnowflake Acrylic Color: Please Choose OneGoldSilver Single Initial or Monogram: Please Choose OneSingle InitialMonogram Single Letter if applicable: Monogram: Who is this item for? Class vine option is great for a couple. 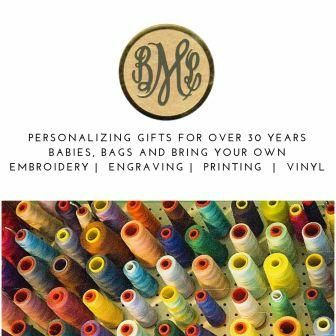 In the monogram box put the woman's name first, the last name, then the man's name.